Hi there! I’m Nadine, Tenovus Cancer Care’s People Officer. 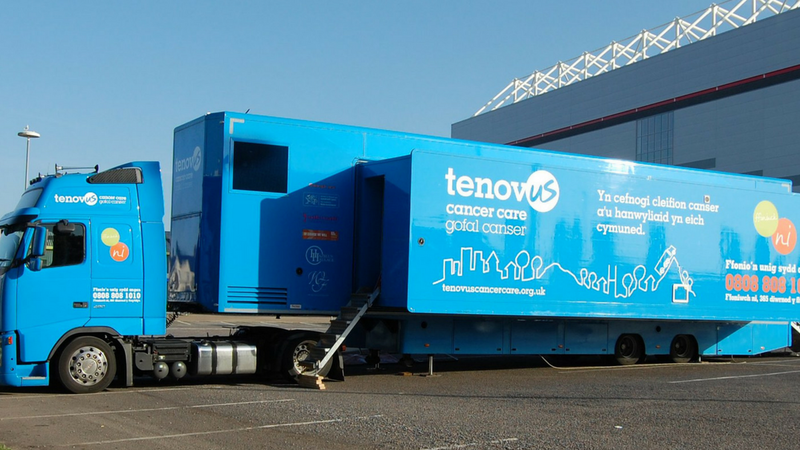 At Tenovus Cancer Care, our aims are simple; to help prevent, treat and find a cure for cancer. With that in mind, it’s really important that we hire the right people and that our people can help us. That’s where I come in. My experience? Well, I’ve worked in Human Resources for the last 10 years in the Third and Private Sectors and love everything about recruitment; seeing people progress and positively working through any employee issues. 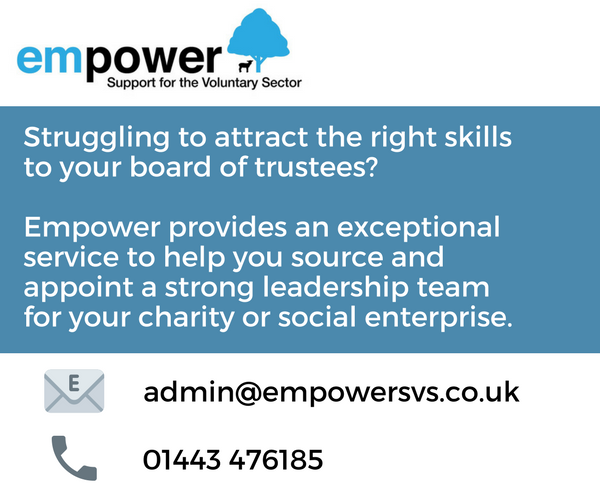 I enjoy my job so much I volunteer with them as well as having a Trustee role with a local community charity. I really do try to make a positive difference and help people. I’m a recruiter, altruist, passionate about treating people fairly and making our workplace a great one. There’s always something new to learn with every situation being unique and never boring. I’ve learned so much that I can’t wait to pass along! I’ll be writing about all things HR; whether you’re looking for a job, looking for advice or navigating the career ladder, I hope you learn plenty and enjoy! You’ve spent so many hours revising, studying hard and preparing for the dreaded exams. But, hey presto! they’ve come and gone in a flash. Your first thought is that you can’t wait for the endless fun of summer holidays and doing nothing but hanging out with your mates and just chilling out. But, you might need some cash, be saving for a holiday with your friends, college or even your first car. So, you want to find a job? As much as we all long for these happy days of no pressure and nobody to answer to we’ll all come back to earth with a bump soon enough though. And, the grown up world is dead scary – there’s so many choices to make: What do I want to be? How am I going to get a job? What’s out there for me? But there’s one thing you do know – you want your own money and you want it to be amazing. First impressions count! It’s all about how you present yourself in person, on the phone, on paper and social media. Most employers make their minds up in the first 30 seconds so you don’t have that long to make that good first impression. If you’re popping in somewhere to ask about work or going for an interview dress the part – not too much makeup and wear tidy and appropriate clothes for the job. You don’t have to always buy something new but bear in mind that you want to present yourself as someone worth hiring. If you’re calling about a job think about what you want to say first. Smile as you speak – you’ll be surprised what a difference it makes to how you come across! Take a deep breath and try not to speak too fast. You may be a bit nervous so why not practice in front of a mirror or with someone else first. Get it down on paper and sell yourself. You’ll need a CV to apply for jobs a lot of the time. This tells employers what your skills and experience are and how they match up to what they’re looking for. There’s lots of templates online to get you started and your school or college will be able to help you too. The trick is to think about how other people see you – they haven’t got to know you yet and so the question to ask is would you give yourself a job. Employers these days are getting social media savvy. Your online image is often just as important as how you come across in person. Are your Facebook settings public or private? Some employers will check out your social media profiles and so you don’t want anything too inappropriate to show up here. If you’re sending a CV by email what does your email address say about you? Do you need to set up an email account just for job hunting? If there’s a particular company you really want to get some experience with why not follow them on Twitter or LinkedIn? That way you’ll be able to regularly keep up with what they’re up to and it’ll stand you in good stead at interview. It’s also worth signing up to alerts from job boards and recruiters and regularly checking out company websites. That way you’ll know as soon as jobs near you come up. The world of recruitment is really fast-paced and time waits for no one and so you need to be able to move quickly to be in with a shot. Nothing beats pounding the pavements and getting yourself out there. Also let your family and friends know you’re available for work so they can help in spreading the word. Pop into your local recruitment agency and job centre as well as keeping an eye out on social media too. These days employers are looking for well—rounded people to recruit which can mean more than grades alone. It’s all about the competition and being the best that you can be. That means they want to hire people who’ve got a good set of skills to make their company stronger. Employers really want people whose values and the way they think and behave match their own. While you’re getting involved why not try something different, make new friends and give something back to your community to help you in your job search. Volunteering is a great CV booster and another way to show potential employers that you’d be a good hire. It’s a great way to channel your passions and do some good and we all want to do something we love right? You might even discover new skills you didn’t know you had before. And, if you do a good job they may even snap you up for paid work! Yes you want a job. Yes you want the cash. But, you’ll be giving up a lot of your time to work. So, why not do something you enjoy or that can help you in the long run? If you’re really sociable and chatty you might enjoy retail, telesales and customer service jobs. If you’re more practical and like the outdoors have you thought about car washing, gardening or dog-walking? If you’re sporty you could look into lifeguarding. Do you want to work with animals or children in the future? Why not think about working at a vet clinic, animal shelter or working at a play scheme to link to your career interests? There’s a lot of choice out there and it can be really confusing. It’s best to think about what you love and what types of jobs suit your skills and go from there. You’re going to learn new things, build on what you can do and meet different people. At the end of the day it’s all experience and that counts for a lot. Often we hear phrases such as ‘climbing the ropes’ and ‘moving up the career ladder’. What this tells us is that realistically you’ll need to start at the bottom. It might not be the most exciting thing in the world but see it as an opportunity and grab everything that comes your way with both hands. You’ll be working with people who’ve got a lot more experience and have already learnt the ropes. Learn from them where possible and see if there are opportunities to job shadow them or ask if they can mentor you. You might not be earning mega bucks now but it’s a foot in the door and a way of seeing what roles you’re best suited to and what type of companies you want to work for. It’s not often we walk into our dream job straightaway but the people around you are important in getting you there. You never know when your paths might cross in the future and these are small steps to your future. Landing your first real job is exciting and a little bit scary but you’ll learn loads and make some cash. It might not be the job you eventually end up in but you’ll find out what you really like and what you really don’t like. My first job was working in a bakery – thankfully Facebook and Snapchat wasn’t around in those days to share my humiliation of having to wear a Victorian baker’s outfit every day of my summer holidays. It was hot, customers took having a perfect loaf of bread very seriously and my feet hurt from standing all day long. But, I had my own cash to spend, customer service experience on my CV and a good reference for when I moved on. Plus, not many people can say they met Richard Branson in a supermarket aisle! Just a final bit of advice from me – you need to keep on going and you’ll get there in the end. You will get knock backs but that’s just part of life. You just have to chalk it up to experience, think what that’s taught you and what you’ll do differently the next time around. But, whatever you do I’ve always found that manners and persistence go a long way. So, thank you for having a read and keep up the good work! advertises jobs to find talented and ambitious people to work in the charity and voluntary sector. At this site you’ll find all kinds of job opportunities, from senior management roles to fundraisers, carers, admin staff and beyond. Whether you are looking for your first role in the charity sector or feel you have what it takes to be an inspiring charity leader, Charity Job Finder is for you. © 2018 CHARITY JOB FINDER — ALL RIGHTS RESERVED.